Joining Chris is NYC native and CLR recording artist, Black Asteroid. Black Asteroid, AKA Bryan Black former engineer for Prince and one-half of the critically acclaimed Motor. 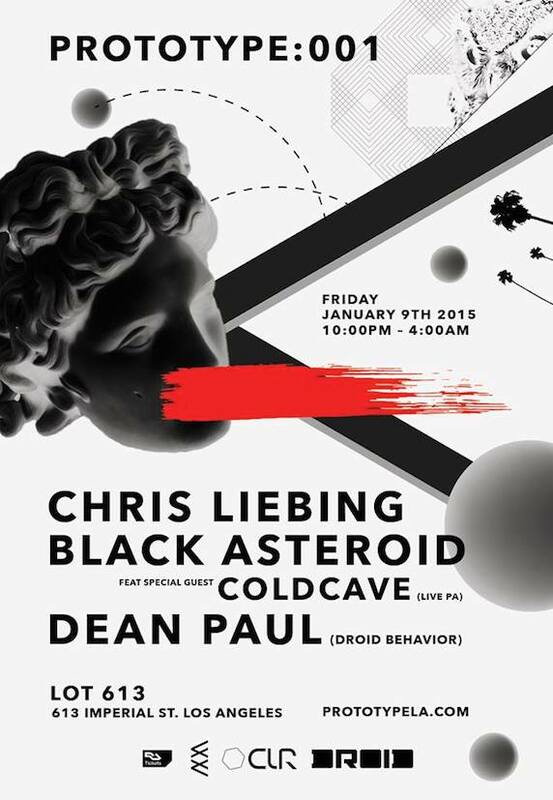 He’ll be performing with special guest Cold Cave (Matador Records), Wes Eisold’s popular cold wave/synthpop group, for an exclusive and rare one-off live PA. Eisold, Black and Chris Liebing recently released Black Moon on CLR.